Your front door; it’s the entrance to your home and the one thing in your property that you will want to make sure is secure, above all else. To do this, there are a wide variety of door safety locks available to buy, however, finding the one that is right for you will depend on the material of your door and of course, the level of security that you feel is necessary. Door locks are not an area that many people will be an expert in, so here at Cosyhomes Windows we have put together our top tips for finding the right lock for your door. 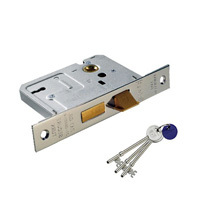 This type of lock combines a standard mortice lock with a handle-operated latch mechanism. You can open and shut this door without using a key, however, when you leave the property you will need to lock it securely using a key. There are 3 levels of security with these types of locks; 5 lever is the most secure type and often used on back doors for maximum protection, whereas 3 lever locks can be used on an internal door that may need locking. The nightlatch is the perfect lock for any external door on your home. It is mounted inside the door around shoulder height and has a latch mechanism that works almost like a “slam lock”. From the outside of the door you can only open the lock with a key, however it can open as a normal door from the inside too. 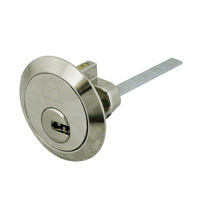 It is usually combined with other types of locks as an additional element of security. Usually mortice deadlocks are combined with nightlatches on front doors. This type of door safety lock only has a bolt that is operated with a key and when installed in a door that also has a nightlatch offers a high level of security. 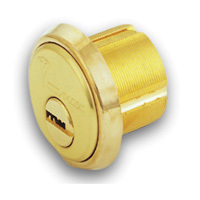 This surface mounted key turning mechanism has a brass barrel that is fitted with a hole drilled into the door. You will be able to open the door from the outside with a key. These cylinder locks are always used with a nightlatch and often you will buy both locks together, although you can buy replacements if you need to. 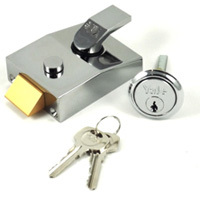 Euro cylinders feature in many different types of multi-point locks. They are popular as they are easy to replace, however, they do come in different types that can make it difficult to pick one. Single Cylinder – this type of cylinder offers you the ability to open the door with a key from one side only. 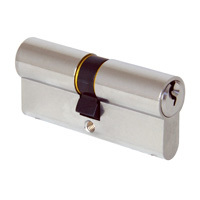 Double Cylinder – this cylinder offers you access with a key from both sides of the door. Double Cylinder with Thumb Turn – this type of cylinder allows for key access from one side and a thumb turn facility from the other side. Need Help Choosing Your Locks & Doors? If you are buying a new lock for any door then you will want to make sure that it is fabricated in the UK by checking that it carries the kitemark. This means that you will feel safe in the knowledge that you have the very best in home security. Here at Cosyhomes Windows, we can help you choose the right door and locks for your property, and fit them for you, to the highest standards. Our surrey doors specialist can talk you through the options available and provide you with a free estimation. Call us today on 020 8397 4040 or contact us via our online contact form.